Sanders had harsh words for the president. Coming to the end of a nine-state campaign blitz just a week before the midterms, Sen. Bernie Sanders had harsh words for President Donald Trump, calling him the "most racist, sexist, homophobic, bigoted president in history," but declined to dig into the main storylines the president has fueled over the past week. "[Democrats] are working to make certain that the agenda of the most racist, sexist, homophobic, bigoted president in history will go nowhere because Democrats will control the House and the Senate," Sanders said, speaking at a rally just north of Washington, D.C., for Maryland’s Democratic gubernatorial candidate Ben Jealous. 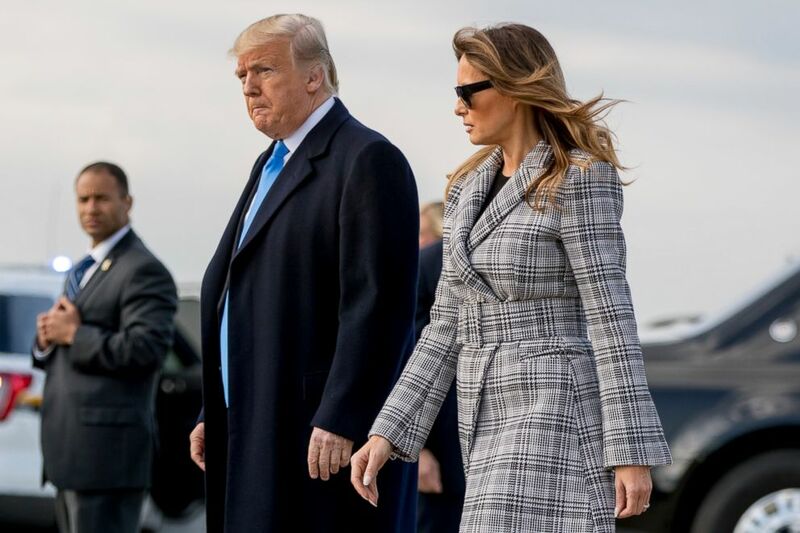 (Andrew Harnik/AP) President Donald Trump and first lady Melania Trump arrive at Pittsburgh International Airport in Coraopolis, Pa., Oct. 30, 2018. But Sanders, who called the upcoming election "the most important midterm election in the history of the United States of America," refrained from commenting on Trump-related news of day. He didn’t mention the president’s comments from Tuesday morning on ending birthright citizenship, nor did he mention the thousands of protesters that greeted the president on his visit to Pittsburgh's Tree of Life synagogue, where 11 people were killed by gunfire this weekend. 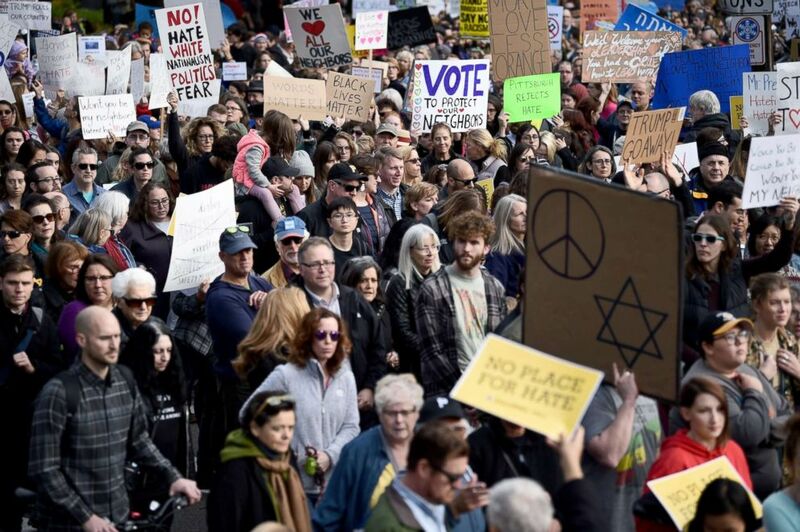 (Brendan Smialowski/AFP/Getty Images) People protest the arrival of US President Donald Trump as he visits the Tree of Life Congregation, Oct. 30, 2018, in Pittsburgh, Pennsylvania. Sanders focused largely on the issues that Jealous has been campaigning on, including health care, clean energy and reforming the incarceration system. Jealous, too, stayed away from national storylines about the president, instead sticking to the local issues of his platform. Sanders called for the crowd to improve the state's voter turnout, which was low in Maryland’s last gubernatorial election, and called out Republicans for voter suppression, a rising point of contention and a potential motivator for Democrats in states like North Dakota and Georgia, where strict voting laws have made it harder for people to vote. "All across this country, Republicans are working overtime to suppress the vote. They are scared to death of what happens when working people and young people and people of color come out to vote," Sanders said. "They wanna suppress the vote. We wanna have a 'huge' voter turnout," Sanders said, with an emphasis on the word "huge" to invoke the president. The senator from Vermont is closing out a trip that had him crisscrossing from Iowa to Nevada — visits that also fueled speculation about another presidential run. 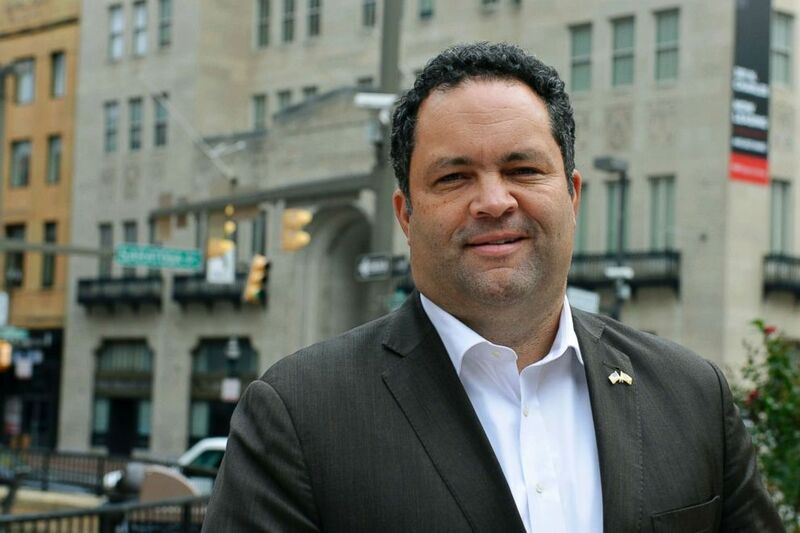 (David McFadden/AP) Ben Jealous, a former NAACP president who is running as the Democrat for governor of Maryland, poses for a photograph in Baltimore, Oct. 16, 2018. As Sanders began speaking, a supporter shouted, "Run for president!" "As I was saying," the senator said before continuing.